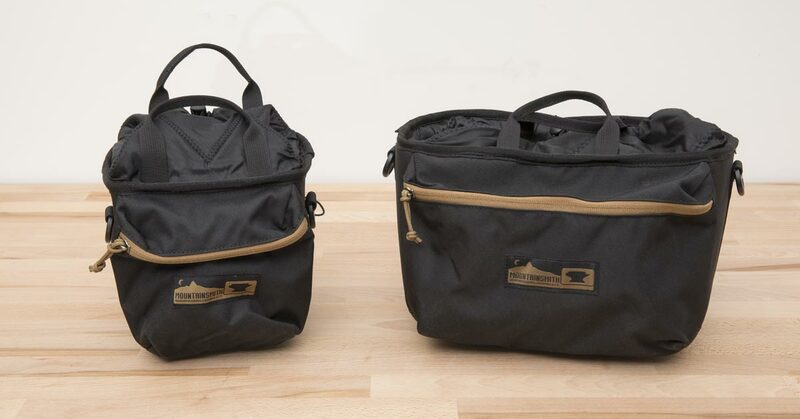 Mountainsmith collaborated with adventure photographer Chris Burkhard to create a photography backpack called the Tanuck 40, and a waist pack called the Tanack 10 (no, that’s not a typo – Tanuck/Tanack). Stay tuned for a full review of the smaller Tanack very soon. 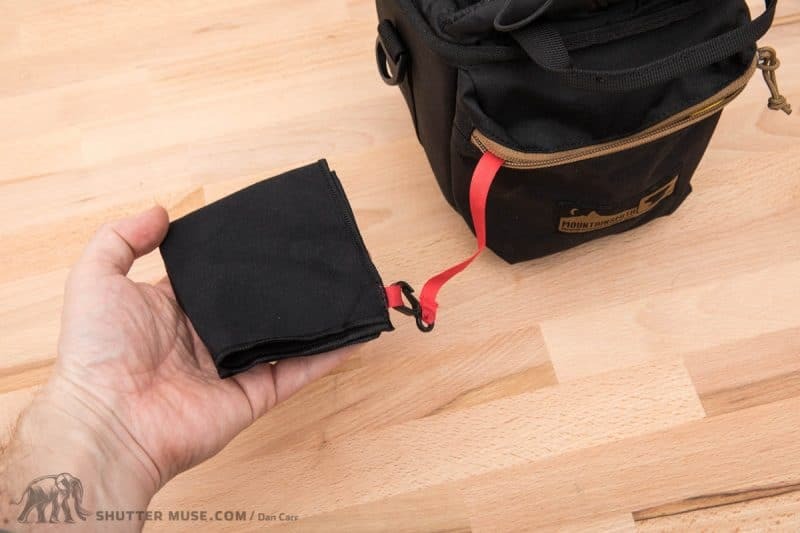 These bags are sold without any kind of camera protection in them, but there is a line of camera inserts designed for the bags, called TAN Kit Cubes (Tough As Nails). 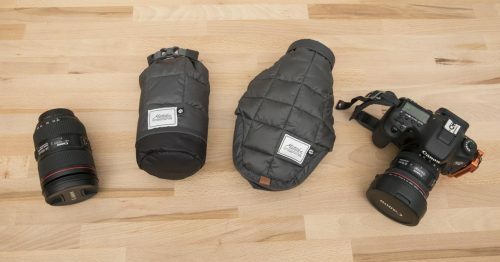 The Mountainsmith TAN Kit Cubes are available in three different sizes, and in this quick review we’ll be taking a look at the small and medium sizes because they are distinctly different to the large size. The medium Kit Cube comes in at $60 and the small one comes in at $50. 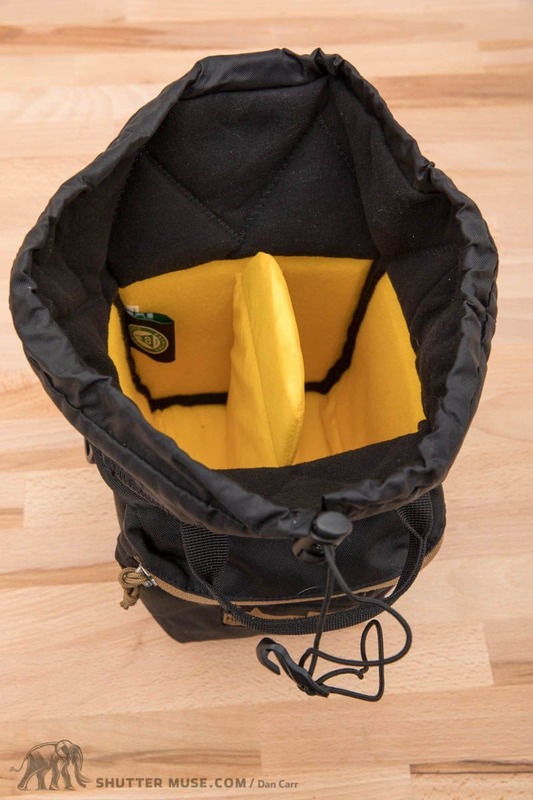 For this you get yourself a heavily padded, waterproof camera case that can either be added to the aforementioned Mountainsmith bags, or placed into pretty much any other bag you can think of to turn it into a camera bag. 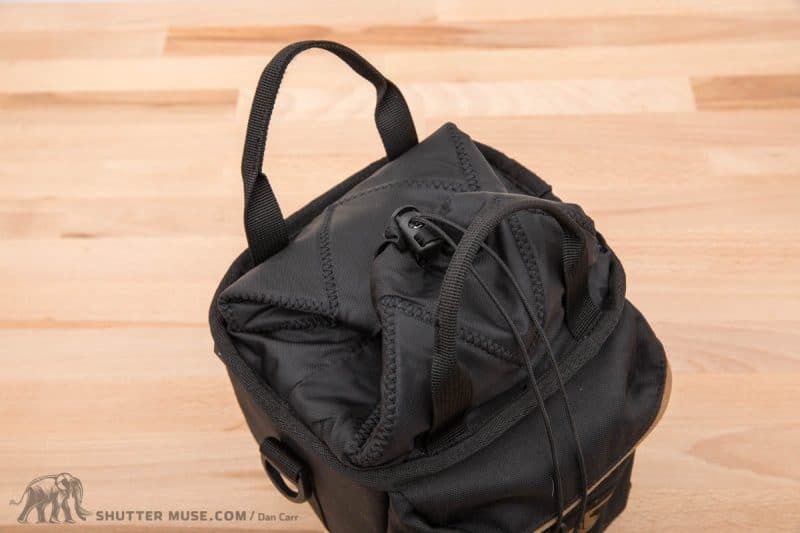 The Kit Cubes also come with a lightweight shoulder strap, so they can be used as small camera bags in their own right, and there’s even a zippered accessory pocket on the front to store batteries and other small accessories. Upon unboxing the Kit Cubes, the first thing that struck me was just how rugged these things are! These are heavily padded cases, so much so that the base of them is almost totally rigid. 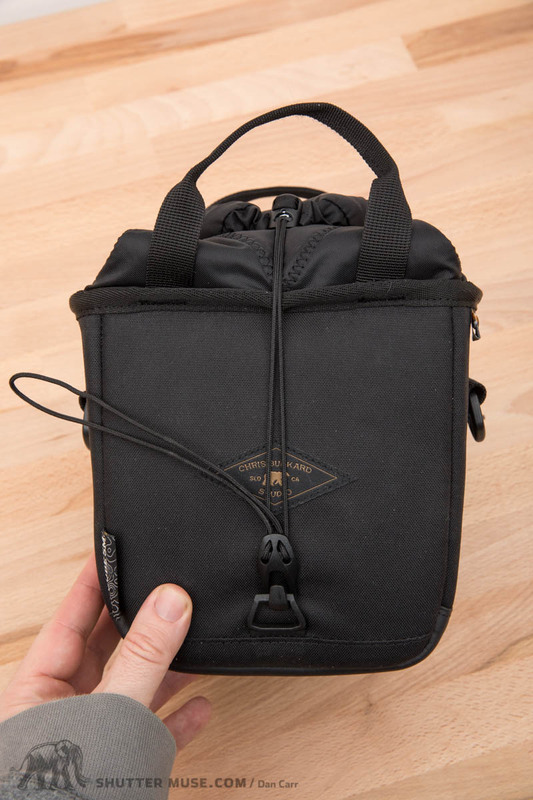 This is great for protecting your camera gear, but it’s worth noting that it does make their addition to some other bags a little less forgiving since they don’t tend to conform well to internal spaces that aren’t exactly the right size or shape. If you pack them too tightly into a bag, the rigidity of them can leave uncomfortable protrusions. Whether all this protection is a feature that you’re looking for will probably depend on what kind of activities you’ll be undertaking with your camera gear. I honestly can’t see it being necessary to protect a camera this much if you’re just out for a hike, but if I was mountain biking or perhaps skiing, then there’s a greater need for it. I’ve probably used 20+ different types of camera inserts over the years, and these TAN Kit Cubes offer by far the most protection to your camera – on 5 sides at least. The slight disparity in this design is that the opening of the case on the top is relatively lightly padded, consisting of just foldable foam-filled nylon. The protection offered by the opening at the top of the Kit Cubes is ample by all other standards of such products, but it’s somewhat at odds with the vastly more protectives base and sides. Not a deal breaker by any means, but something to consider when you are packing your bag and placing other items around it. Whilst it lessens the protection somewhat, the top opening of the bag is actually my favourite feature of these cases because it allows extremely quick access to the gear inside, and also allows you to stuff much more gear in there than would first seem possible. If these cases had a more traditional zippered closure on the top, it would be much harder to use them inside a backpack. 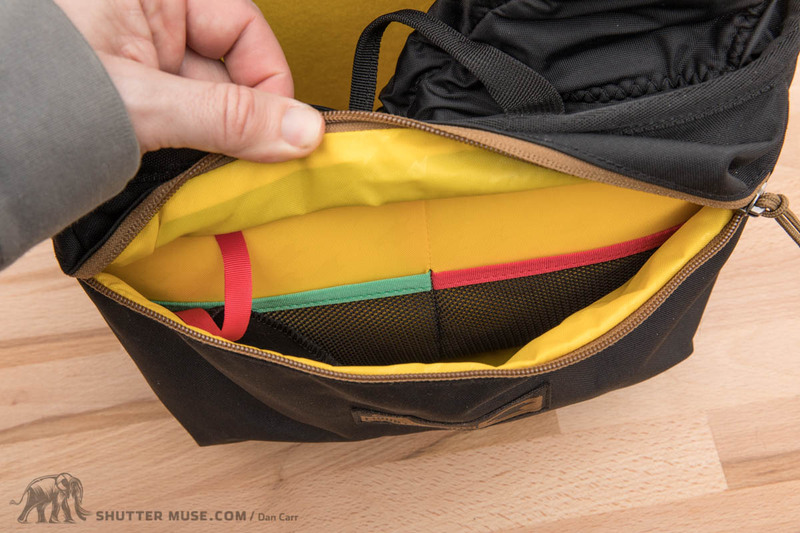 As it stands though, it’s always easy to dig down into your pack and pull open the foldable top to get to your gear. It’s clear that these were designed by someone that primarily uses mirrorless cameras, but that doesn’t mean they don’t work for larger DSLRs as well. 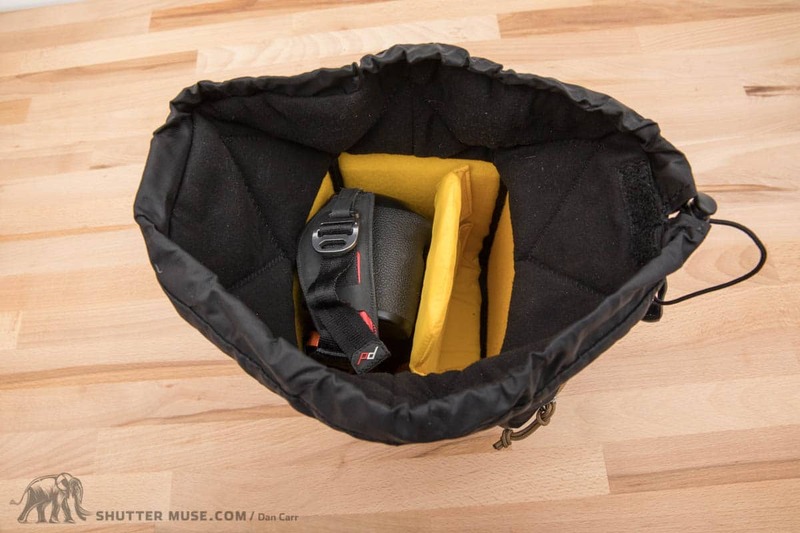 The small size will accommodate a mirrorless camera with a small lens, or a single DSLR body with no lens. Stepping up to the medium size will allow you to fit a DSLR with a pair of lenses small/medium lenses, or a mirrorless camera with about 4 lenses. From a sizing point of view one thing that disappointed me was that the medium Cube isn’t a little deeper, to allow it to better protect a DSLR with a lens attached when placing it into the bag “lens down”. 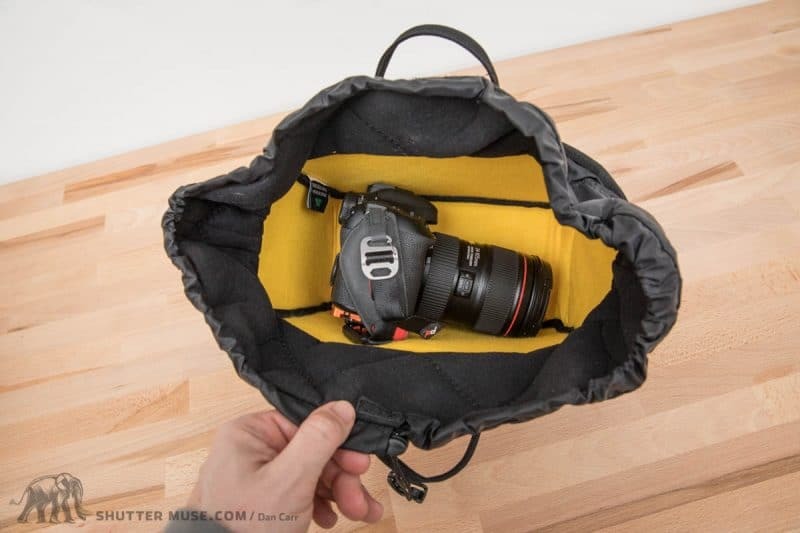 You can place a camera and a lens into the bag in this way, but it protrudes up quite a bit higher than the protective walls. 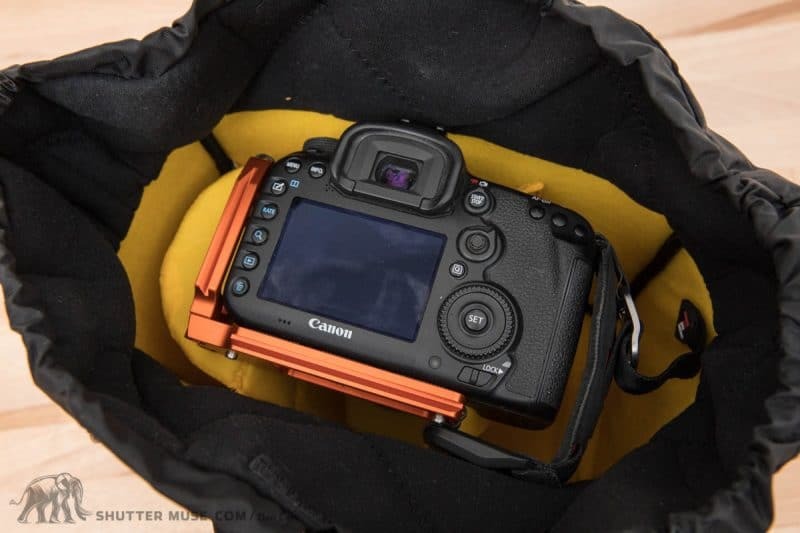 The versatile nature of the folding opening means that the camera is covered, and protected from minor bumps and scratches, but it does leave it slightly more vulnerable than you may want it. I’ve had these cases in my possession for a couple of months now and one of the great, unexpected uses I have found for them is packing camera gear into checked luggage. When I fly I try to take the majority of my gear as carry-on, but there’s always a few additional items that don’t quite fit. Due to the rigidity of the Cubes, I have been using them to protect these other items, such as flashes, ballheads and audio recording gear. In the past I’ve sometimes resorted to hiding small Pelican cases amongst the clothing in my checked duffle bags, but I’m confident in the protection that’s provided by these Kit Cubes. The folding opening on the top of the Cube has hook-and-loop to stick it down once it’s packed, but there’s also a rather bizarre piece of string with a sort of hook on the end of it. I must admit that when I first got these I actually looked for a user manual, and subsequently a video online that might give me a clue as to how it should be used. 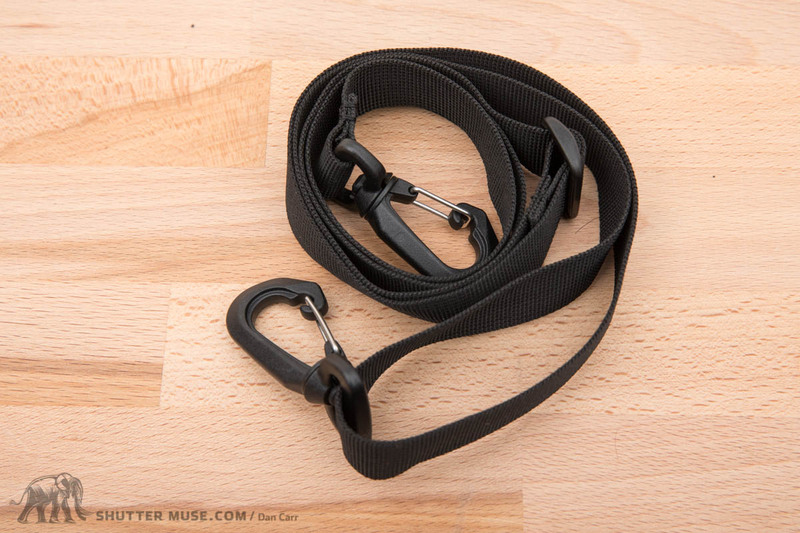 It’s far from intuitive, and actually requires a large amount of dexterity to release the strange buckle from the string if has been slid all the way to the end. Once you have it figured out, it can tighten down the top closure of the Cube, but frankly it’s too damn fiddly to bother with and certainly not something you want to fuss with every time. And you can forget about being able to do it with gloves on! Not a chance. I do think a tighter closure mechanism for these is a good idea when gear is in transit, but this odd string and hook mechanism is overly complex. It could have been solved with a single nylon strap and a large buckle instead. Look no further than these Kit Cubes if you want some serious protection for your gear in an existing bag! My main recommendation is to make sure that you really do need that kind of protection for the sort of activities you’re planning to do. 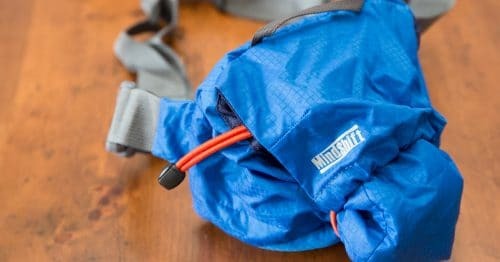 If you’re just planing on taking a walk, there are much lighter solutions, such as the MindShift Ultralight Case (review) or the Matador Base Layer (review). 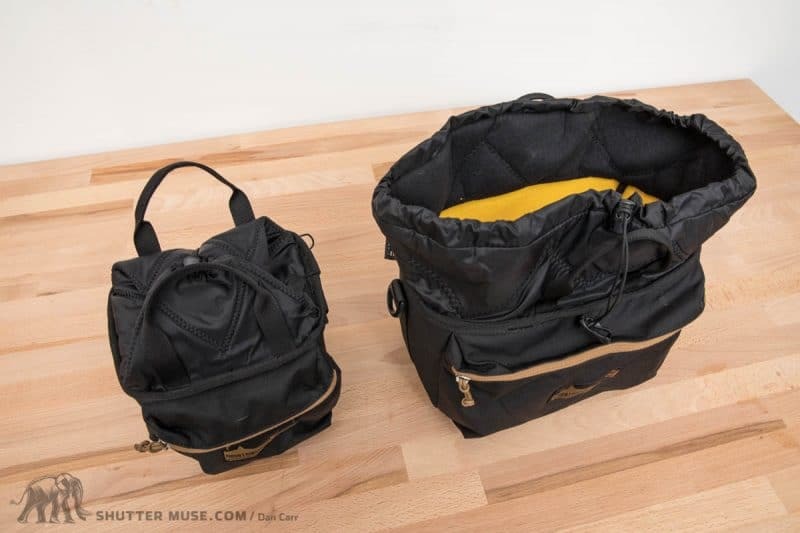 These Kit Cubes also function best when they’re placed into a bag that will have you accessing the gear from above, such a messenger bag or a standard backpack with a top lid. 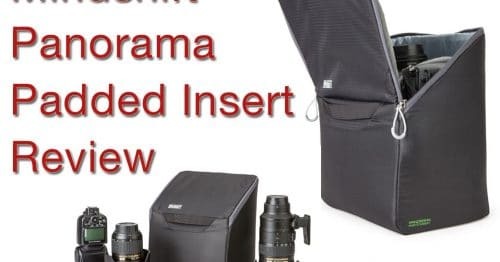 If you plan on packing these into a backpack that has a back panel opening style, you should be looking at F-Stop’s extensive line of camera inserts instead. Trying to use the Kit Cubes in a pack with back panel opening doesn’t really work because you have to either rotate the Cube each time you open the bag, or continually move or unpack the items that are placed on top of them. If you need that waterproof, ultra rugged protection though, and your gear profile fits into either of these two cases, you’ll be very happy with these products! I’m glad I was able to check out my first Mountainsmith product, and I’ll definitely be keeping an eye on them in the future. I usually send people to B&H Photo to buy most items, but oddly they don’t sell the TAN Kit Cubes. It’s even stranger because they DO sell the Tanuck and Tanack packs that are designed for, but do not come with, the Kit Cubes. Go figure! Anyway, you can find them on Amazon so it’s no big deal.